Thank you so much for stopping by to find out more about my Believe Scholarship. Believing in ourselves as writers and creatives is a vital part of moving forward on our journeys. I want you to know that I believe in you and support you and that’s one of the main reasons I set up the scholarship. That and to give back to a community that has and continues to be a tremendous support to me as a writer. You can read a little of the history about how the scholarship came to be below. 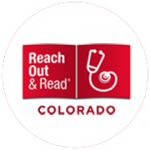 The scholarship is for picture book writers and novelists who are members of the Rocky Mountain Chapter of the SCBWI. The lottery registration and application deadline has passed for 2018. Thank you for your interest! Jennifer received free conference tuition, one-on-one critique, an intensive of her choice, $150 stipend. Rachel received a one-on-one critique. Jacqueline received free conference tuition, one-on-one critique, an intensive of her choice, $150 stipend. Catherine received a one-on-one critique. In the past belief—or really lack of belief—has been an obstacle in my writing journey. I often didn’t believe I had the ability to write at a certain level that a particular idea required or that I could actually tackle a new genre. I didn’t believe I was worthy of success in all its forms–completing a book, getting it published–any kind of monetary success and so forth. And then, by taking time to really look at myself and my work, I started to believe in myself more and my approach to my writing and my career shifted dramatically. I began to detach from what are often called “external outcomes” such as publication and book sales and focused on the writing itself. The joy–and sometimes frustration–of it and found I was happier in the world at large. Not that I didn’t want to continue to publish or that when I did, I wouldn’t work hard to help the book succeed, but I no longer gave them the power to define me anymore. My success and who I am hinges on what I believe about myself and the things I can control in my life, things like whether I finished a chapter, whether I revised a scene to the very best of my ability, whether I was fully present and a good listener when teaching a class or consulting with a writer. 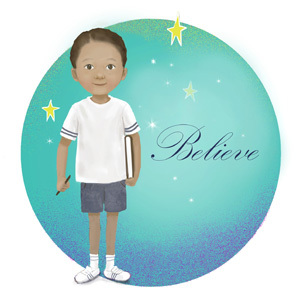 I established the Believe Scholarship in 2015 to support one or two writers who are members of the SCBWI and reside in the Rocky Mountain region. 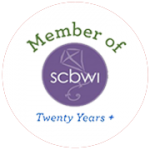 I have been a member of SCBWI for over 25 years and it has been the gift that keeps on giving—in friendships, information, support, networking, and more. I wanted to give back and support writers as I have been supported over the years. Each year I plan to give at least one scholarship to a picture book and/or novel writer who is at a place in their writing journey where attending the RMC-SCBWI Fall Letters & Lines conference will help them get to the next level. This is currently a $525 total value per scholarship. Conference, critique and intensive fees will be paid directly to RMC-SCBWI. I will send the stipend check for $150 directly to the recipient(s). I reserve the right not to award one or both scholarships in a given year. What makes my scholarship a little different is that I focus not only on where you are on your journey in terms of your writing, but also where you are on your journey as a writer. The application will ask you to evaluate some things about yourself as a writer because for me, it’s only when we define who we are as a writer and what our purpose as writers is that we can be truly happy on our journey. Sure there will be bumps in the road and your purpose may change as you change and grow, but it’s something I believe is important to visit and revisit as we go. Believe in yourself, believe in your stories and keep writing. Only you can tell the stories you have in your heart and soul. 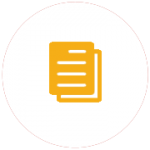 You must be a Full or Associate member of the RMC-SCBWI, or a PAL member of the RMC-SCBWI who has not yet published a PAL-qualified book (e.g, you can have self-published,published in magazines, online, an app, or other media). PAL book authors (this includes work-for-hire publications) or previous recipients of the BELIEVE Scholarship are not eligible. Due to my own constraints for reviewing applications and wanting to give applicants more time to prepare their applications, I am trying something new this year. We will select applicants in a 3-part process. 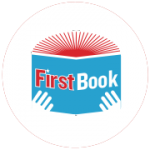 Part 1: An anonymous lottery to randomly select up to 20 picture book writers and up to 20 novel writers. Part 2: Lottery winners will receive an email with a link to the application. 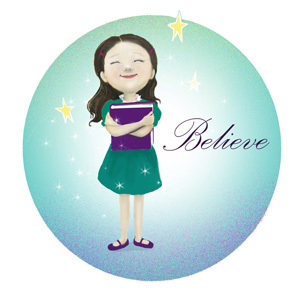 Be sure to add believe@denisevega.com to your safe senders list or check your junk mail. A writing sample that shows you are ready to take the next step. The sample doesn’t have to be perfect, but it does need to show that you have a sense of the category for which you are writing and that you’ve developed some skill. If this is your first story and you’ve never attended a class or received feedback on your work, I would encourage you to hold off applying and consider taking a class and/or getting professional feedback before taking this step. For those who are selected to submit an application: You may know that I teach and consult quite a bit so I ask that if you have worked with me in one of those capacities, to try to avoid submitting a sample of your work I may have seen so I can judge your application strictly on its merits (all applications are anonymous). If you really want to submit something you think I’ve seen, please note that on the application and I will have someone else evaluate your writing sample. One entry per person for either picture book or novel. Scholarship recipient(s) for 2018 have been selected and notified. I reserve the right not to award a scholarship if I don’t feel any of the applications meet the requirements or aren’t ready for the next step a conference can bring. Nina received free conference tuition, one-on-one critique, an intensive of her choice, $125 hotel stipend. Erika received a one-on-one critique. Joanna received free conference tuition, one-on-one critique, an intensive of her choice, $125 hotel stipend. Ann received a one-on-one critique. Because of generous donations from the RMC community, I was able to add intensives to the package this year! Kristen received free conference tuition, one-on-one critique, an intensive of her choice, $125 hotel stipend. Stephanie received free conference tuition, one-on-one critique, an intensive of her choice, $125 hotel stipend. Cara received a free conference critique. Kristen received free conference tuition, one-on-one critique, $100 hotel stipend. Ann received a free conference critique. Kellye recieved free conference tuition, one-on-one critique, $100 hotel stipend. Alda received a free conference critique. The team will consist of me, Denise Vega! And possibly some of my writer colleagues, depending on how many applications I receive and if I need additional readers to avoid bias. Still have questions? Send a question to the moderator! I clearly remember how I felt when I read Denise’s email letting me know that I was a runner-up for her Believe Scholarship. I felt a sudden high that lasted for days. And the confidence I gained from receiving that honor remains with me today. Thank you, Denise, for your generous scholarship program! As a scholarship runner-up, I got to choose where to sit at lunch during the conference, and that’s how I was able to meet Matt Ringler, an editor with Scholastic, who was very friendly and encouraging. My scholarship provided me with a critique by Matt, and it ended up being thoughtful, insightful, and extremely helpful to me. The Letters and Lines conference was especially fun this year, because as I get more involved in the RMC-SCBWI, I get to know more and more people, and I saw a lot of them at the conference. It’s great to be involved in an organization whose members, like Denise, are so supportive! 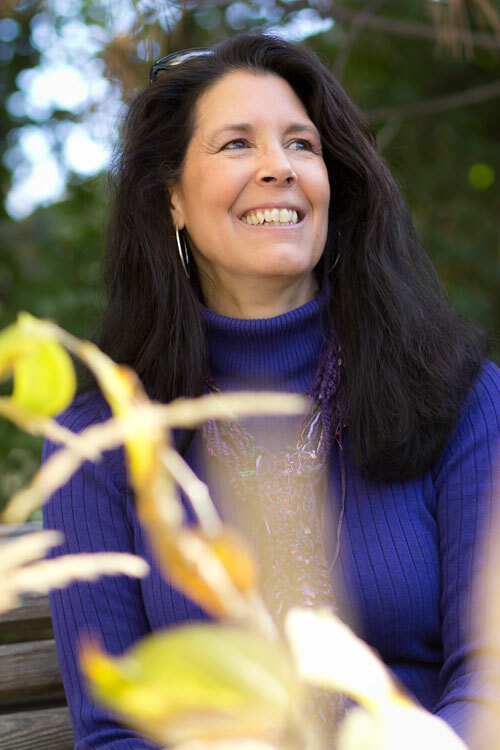 Receiving this scholarship helped me sustain my motivation and energy for writing and helped me create workable strategies that have contributed to my productivity as a writer. It helped me progress toward and attain my writing goals. I encourage every writer to take a chance and apply! Take your Big vision, Empower yourself with conference attendees, Learn, become Inspired, Explore, remember that your story is Valuable, Exhale, and have ease of mind that the writing community is there for you! …the person who critiqued my work at the one-on-one session requested the entire manuscript and gave me great feedback! I’m still walking on clouds! I also enjoyed the workshop with Ms. Melanie Crowder on emotion and have since devised new plans to enhance my manuscript. This was the first time, too, in a conference that I’ve felt like I “belonged” to the writing community. Fellow writers came up to me to congratulate me (some even knew my name!). The introvert in me was totally blown away! I made new friends, new contacts, and was inspired by many people. Thank you so much again. Having you believe in my work gave me the boost of confidence I greatly needed to tackle my work and the conference. I will always be grateful. …one of the biggest and most surprising effects of receiving Denise’s Believe scholarship, was its emotional, mental and spiritual boost. 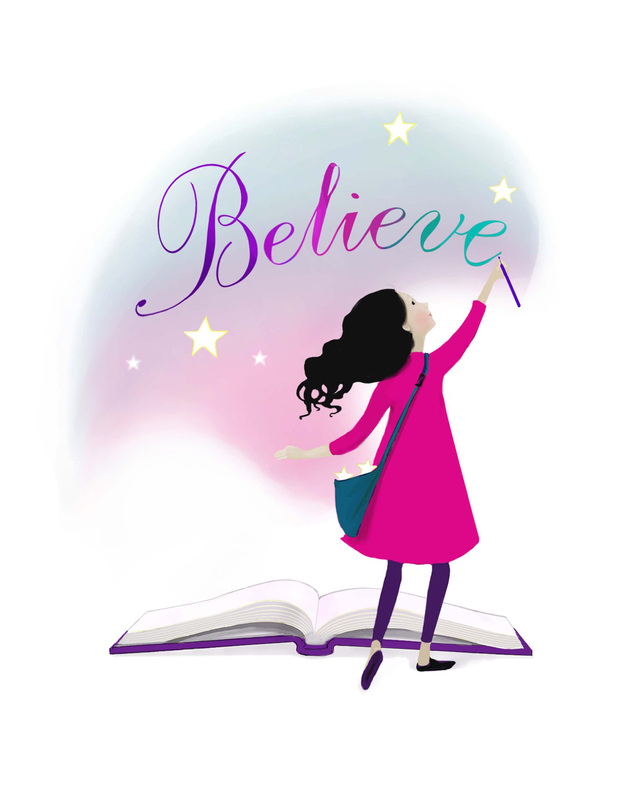 After receiving her congratulatory email, I’d catch myself thinking, “Denise believes in me.” I shared how good that felt with a few close author friends from home, and they said they believed in me, too. …I don’t know where I’d be now if I hadn’t gone to the conference, if Denise’s Believe scholarship hadn’t nudged me through the door. I am grateful. Even as a writer, I can’t find the perfect words to properly thank Denise Vega for choosing me to receive the incredible honor of a Believe Scholarship! Attending my first writing conference was an amazing experience, but also intimidating and overwhelming, but knowing I was a Believe winner gave me confidence and courage. I met and received critiques for my manuscripts from an editor, an agent and numerous authors. I was deeply moved (to tears) and inspired by the speeches of both keynote speakers (Vanessa Brantley Newton and Matt de la Pena). Both of their raw, emotional stories of where they came from and their journey to becoming authors/illustrators will stay with me forever. I also learned tons about the different book genres and publishing industry in various seminars (where I took notes until my hands cramped). Plus, I got the honor of having lunch with the Krystal Kite winner Dian Curtis Regan. I bought books and received autographs from several inspiring authors, including Denise Vega. Lastly, I made lots of new friends, found a new critique group and met an author, who writes similar style books to myself, who shared information about her publisher! Throughout the conference, when I got nervous and overwhelmed, I could always find Denise Vega’s radiant, smiling face. More than anything, her belief in me and her encouragement and support has been what has kept me going and given me strength. Thanks to the Believe Scholarship and the Letters and Lines conference, I finally feel like I’m on the “write” track and have the fire to keep going. Thank you so very much, from the bottom of my heart! In regards to the critique I received…, it was phenomenal! [She] provided an in-depth analysis into what was not working as well as into what was working well for my manuscript. In addition, she provided me with mentor texts and gave me some insight into how the publishing world would see my story without discouraging me. [Her] critique was the best review I’ve had of my work, propelling the story and my growth as a writer forward. Sparks are flying! Thank you again for honoring me by selecting me as a runner up! Very appreciative. I just wanted to thank you again for such a great opportunity. I honestly would not have been able to attend Letters and Lines if it weren’t for the scholarship, and I would have missed out on such an incredible event! One of the most valuable things I took back from the conference was the effect of being surrounded by so many creative aspiring (and inspiring!) writers. There was an energy and excitement in the group as a whole, and it has given me that extra bump I needed to keep pushing my writing to the next level. My one-on-one critique with Deborah Warren was invaluable as well. She pointed out exactly where my manuscript was lacking, and also gave me the encouragement that what I am working on is worthwhile to keep pursuing. As someone who LOVES to write in rhyme (in an industry where attempting rhyme is generally highly discouraged), I was so pleased to hear from someone in-the-know that my rhyme is good and I should continue to write that way 🙂 It’s exactly that kind of encouragement that I can turn to when I am feeling unsure of myself. The workshops I attended gave me a fresh perspective on the writing/creativity process. Getting to hear actual editors go through what they do on a daily basis, and how they revise a manuscript to get it to it’s best, gave me incredibly valuable insight. This info will help me to get my works polished as much as they can be, BEFORE they are ever seen by an editor. It’s these tips, tricks, and knowledge that I believe will get my manuscripts eventually recognized over the slush. Basically, attending the Letters and Lines conference gave me the confidence and knowledge to continue on my writing journey. I met so many great people and was able to connect with other successful professionals who can help me on my way. Thank you so much for giving me this opportunity!! Thank you to beautiful and talented Tiemdow “Dow” Phumiruk for creating the fabulous logo and illustrations for this page. Get into the mind of this creative genius.